Most of us struggle through life snatching only glimpses of the outworking of God’s plan. We expect this, for we are instructed to walk by faith and not by sight. So we trust that the plan is truly coming together. Indeed, this part of the “Lord’s Prayer” teaches us that anticipation plays a large part in daily prayers. We are to anticipate the culmination of present realities—as harsh as they so often are—foreseeing an era when God’s perfect shall indeed be done on earth as it is right now in heaven. The pairing of earth with heaven in this clause is important for interpretation. If praying for God’s will to be done on earth were simply our affirming that God’s will is being done right now on earth (because “everything that happens is God’s will”), we empty this petition of both its power and its true prophetic meaning. The disciples would certainly have seen a future glorious realization in Jesus’ words. They would have seen right off that the present imbalance between what happens on earth and what goes on in heaven will eventually be set right. The two states of affairs—earth and heaven—must harmonize, because God’s will does not pull in two directions. And certainly it does not give approbation to “this present evil age” (Gal. 1:4). A theology which can only pull a mere truism from this petition needs to examine itself. What we are to pray for is for God’s will to be palpably displayed in justice and righteousness in His kingdom; a kingdom to come and which we eagerly await. God’s will is not done upon earth. The common New Testament designation “kosmos” (world) to signify the organized rebellion of sinners against their Creator, is enough to show the most calcified determinist this fact. It turns out that when we reflect upon this future outcome we are, in fact, praying for the end of prayer! It is a marvelous irony. For once God’s perfect desire being done everywhere we will have nothing to pray for; at least not what often constitutes prayers and supplications in this life. We will not need to pray for wisdom and godliness in government. Even less will there be a need for the right to prevail in spite of foolish and ungodly government. We will not need to pray against social ills and natural disasters; against oppressions in all its ugly guises, or for our lives to realize their potential. We stand the wrong side of this change, but our prayers can, in some way, hasten its advance! As so many texts of Scripture emphasize to us, God desires a world of love and mercy and equity. And we can rejoice in the knowledge that King Jesus will ensure that such a world will become real. What Jesus is teaching is that our praying is to have a strongly eschatological strain to it. In heaven, God’s will is done immediately and in exemplary fashion. It is done in worshipful compliance. His will is all. The wills of His creatures circulate expressively in the flow of His will. They find their freedom there. Many of God’s people have known what it is to go without. Many have known extremity. Without any doubt when bills cannot be paid with the resources on-hand tensions grow, tempers blow, and faith can take a pounding. Paul admonishes the comfort-softened westerner, “having food and clothing let us therewith be content.” We may well believe that he takes shelter for granted. Still, one wonders exactly what the Lord considers “our daily bread” and how different that might be from what we think? From this we may deduce that Jesus wants His people to pray every day for God to provide that which we need to live in this world. And this would include the particulars needed to pay the bills in the economies we live in. God is gracious and kind, and our acknowledgement of this fact should be present in our praying to Him, for otherwise it is difficult to be truly thankful. But what does all this come to? What is this petition really about? The answer is as simple as the switch from the focus upon God’s causes and kingdom in the first three petitions, on to the creature in this petition. When we ask and keep on asking for our daily bread we are showing our daily dependence upon our good Creator. 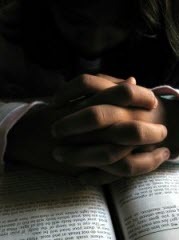 I make bold to assert that dependence is the foundation of true prayer. In point of fact, expressing our utter dependence on God is the epitome of proper creature-hood. It is us coming to ourselves; realizing who and what we are in the grand scheme of things. For what are we in this world if not utterly dependent on the Divine Benevolence? We can so easily be sideswiped by illness or tragedy or some other kind of trouble, and then our vaunted self-sufficiency comes to nothing. It is the purest sort of sanity to ask God to help through every day.